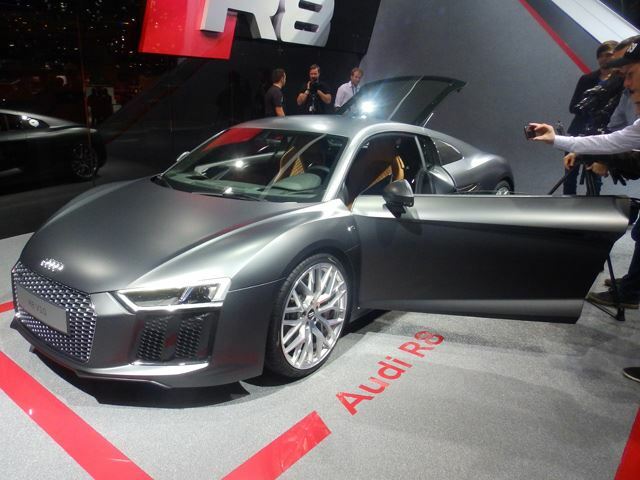 The all-new 2016 Audi R8 is one of those cars that you must see in-person to fully appreciate. 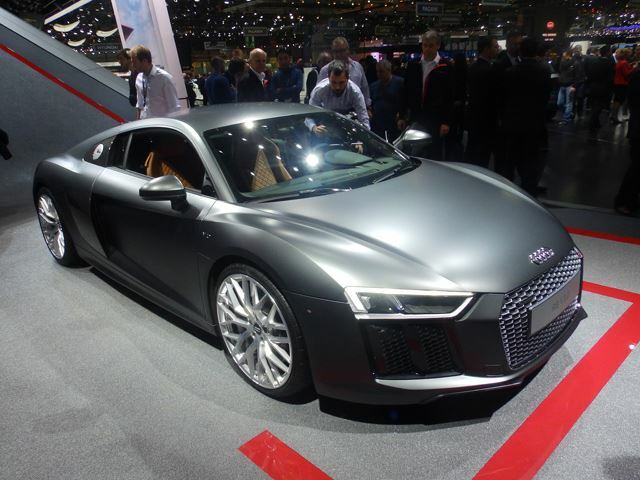 Yes, it’s clearly an R8 but seeing it in the flesh makes it abundantly clear just how new everything is; pictures alone don’t do it justice. 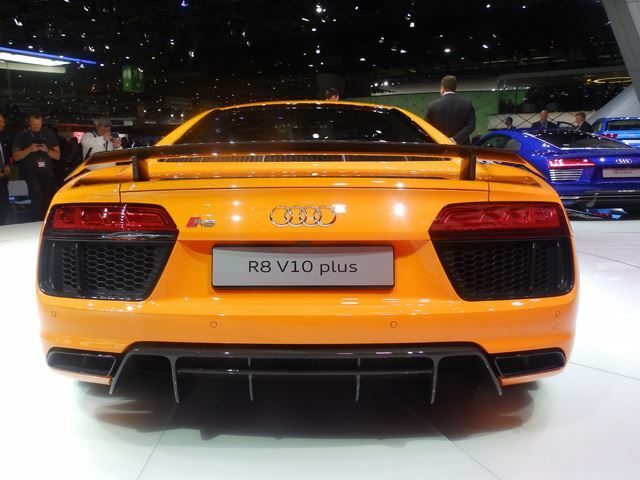 Powered by two versions of Audi’s naturally aspirated 5.2-liter V10, the base R8 V10 produces 540 hp and 398 lb-ft of torque while the V10 plus spits out an insane 610 hp and 413 lb-ft. Top speed for the latter is 205 mph. 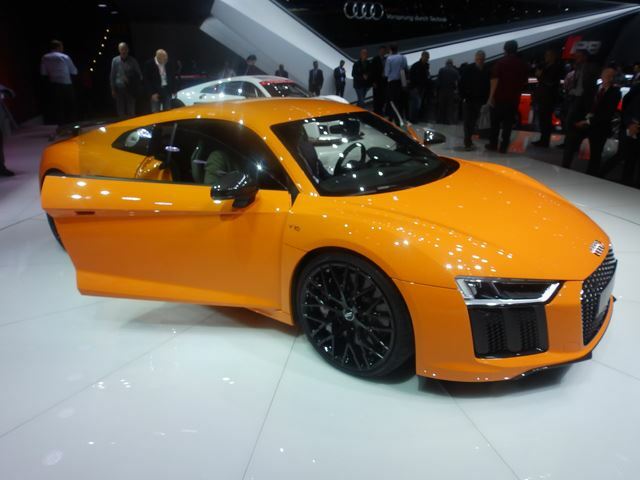 Both engines are paired to just one gearbox option: Audi’s rapid-shifting seven-speed S tronic transmission. 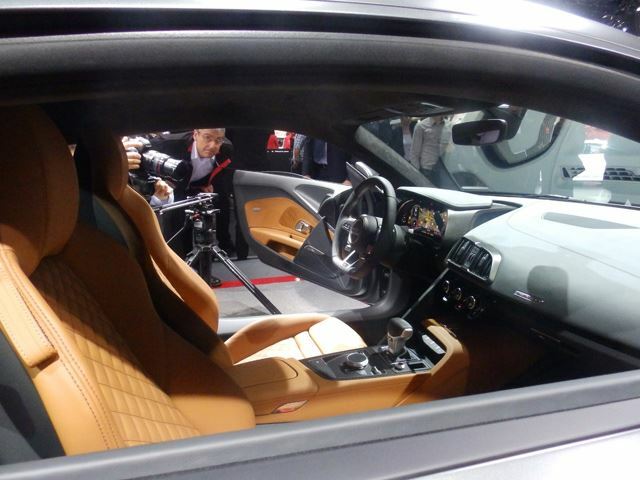 The interior is also all-new, and focus was specifically aimed towards maximum driver comfort as well as to establish a true race car feel. The 12.3-inch display screen is clear and sharp, and we’re told is very user friendly. Stepping outside the car and the edgier styling is unquestionably eye-catching. 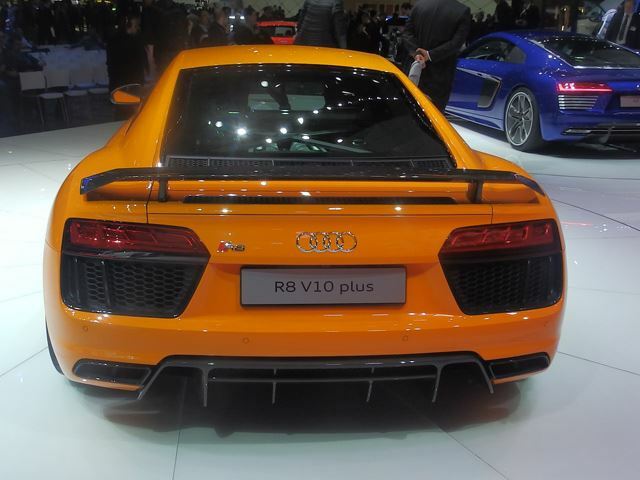 As we said, only when one sees the new R8 up close will it be fully appreciated. It’s wider, more planted, and matured. 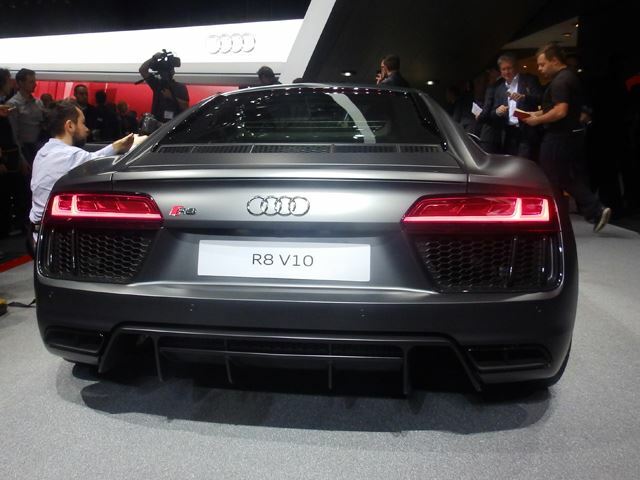 Consider the first generation R8 just a warm up. 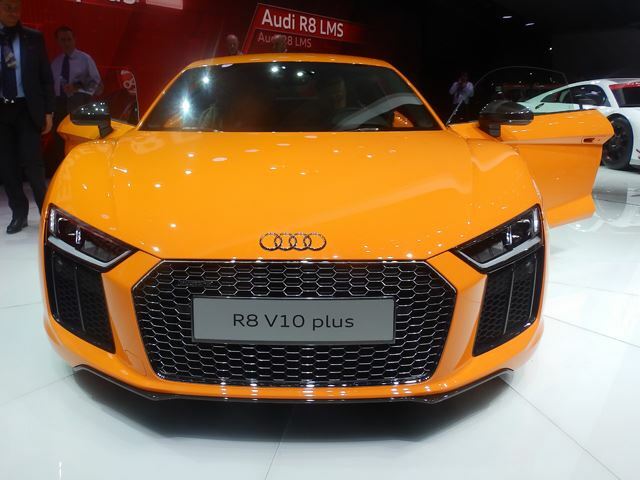 Sales will begin this summer with prices starting at 187,400 Euros for R8 V10 and 165,000 Euros for the R8 V10 plus.